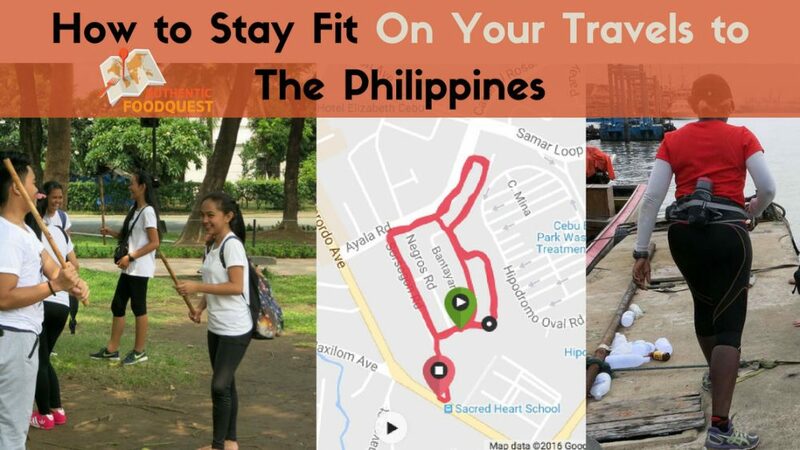 To stay fit on your travels to the Philippines can be more challenging than you think. Especially if underwater diving is not an activity that you enjoy. Why do I mention diving? Because the Philippines has some of the best spots for diving which is one of the primary reason why many people visit the Philippines. However, not everyone practices diving as a full-time sports activity. 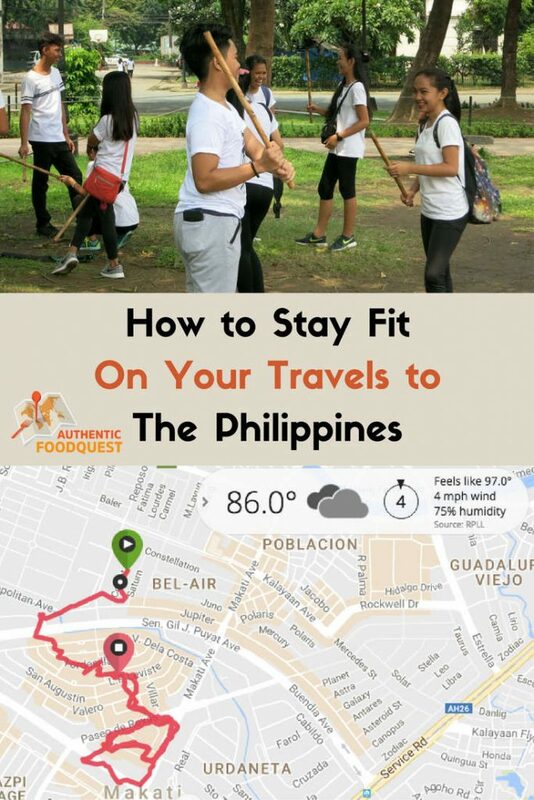 So why do we say staying fit on your travels to the Philippines is a challenge? First, Filipino food can be heavy! 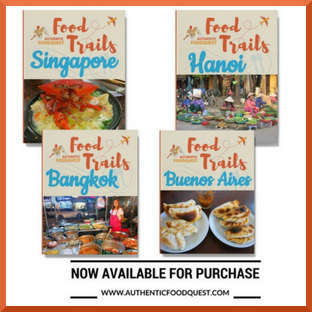 In our previous article, we talked about the characteristics of the food in the Philippines. With pork as a primary staple, some dishes are truly fatty. Second, the climate is typically hot and humid. There are basically two seasons: the dry and the rainy seasons. While the dry season can be hot, temperatures range between 21°C to 32°C (70°F to 90°F). So exercising outdoors can feel like entering into a steam room. And, that’s not very motivating to get out and exercise. And third, with growing urbanization, there are very few parks, which might explain why the Filipinos are amongst the most inactive population in Asia. During our stay both in Cebu city and Manila, we had a hard time finding outdoor space to exercise. Given these challenges, here are our tips and recommendations on how to stay fit on your travels to the Philippines. 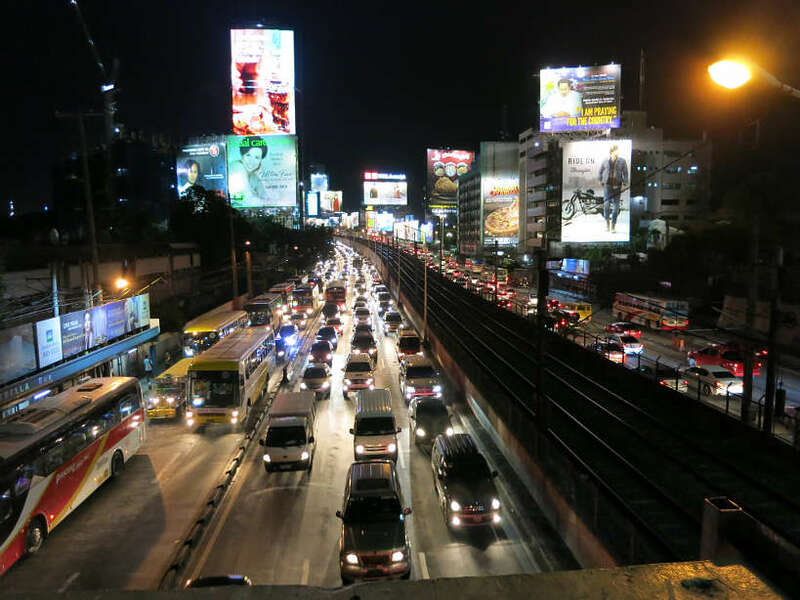 The urban areas in the Philippines are known for their congested roads and heavy traffic. Typically, the traffic peaks in the morning from 7am to 10am and in the afternoons, starting at 4pm to 8pm. 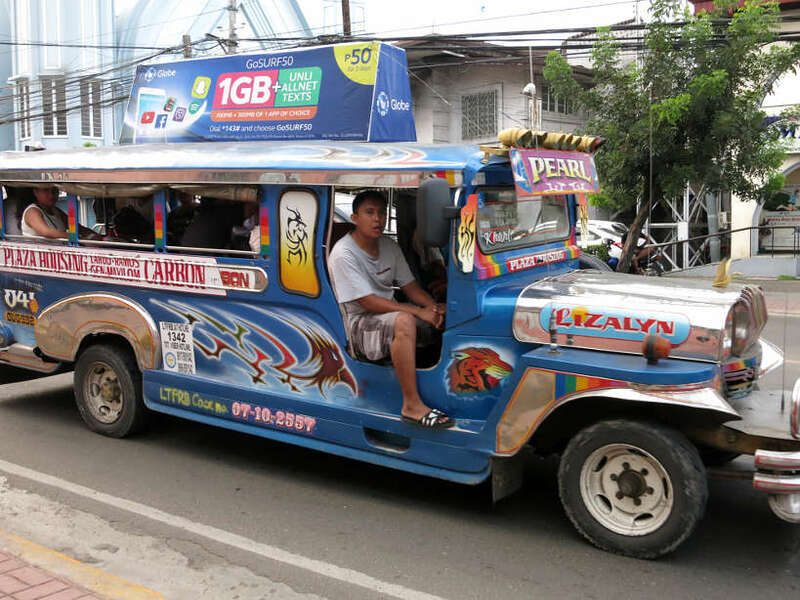 Additionally, the Philippines most popular public transportation are the Jeepneys. They are long Jeeps which carry commuters in back seats similar to a bus. These “Jeeps” buses are relics from World War II. When the US army left the Philippines, their army Jeeps remained and were converted to what we know as “Jeepneys” today. These are a major source of air pollution in the cities! So when you want to go out for a run or a walk, it is best is to avoid the rush hours and the Jeepneys fumes. As mentioned earlier, the climate is mostly hot and humid. Which means that it is hottest during the middle of the day when the sun has been up for several hours. Therefore in addition to avoiding the rush hours, you want to avoid the middle of the day “furnace” hours. Which means that best time to exercise outdoors, is either before 7am or after 8pm. That doesn’t give you too many choices! As soon as you step outside to walk or jog, you are going to sweat. Any form of exercise will cause you to sweat excessively. When that happens, remember that you can lose up to 1 to 2 liters (30 to 60 ounces) of sweat per hour. It is recommended to drink plenty of water. That’s why we always carry hydration belts with our bottles of waters. Not only can we stay hydrated, but we can also carry our keys, some money, and the camera when needed. Super useful and practical. When we go for long runs, we also like to drink sports drink such as Nuun or Gu which replenish those electrolytes lost! Looking at Google Maps and doing research online is certainly helpful to have a sense of where to go for a run. However, be careful as short distances or sections on Google Maps might be surprising in reality. We literary ran into one of those situations in Cebu City. One Sunday morning, we decided to go on a run to the pier. The plan was to run back and forth, through parks and green spaces marked on Google Maps. When we got outside, we were in for a surprise. First, all the roads don’t have sidewalks, so we found ourselves stranded in between cars. Then, the areas marked as green spaces were not what we expected. Google Maps had shown the Chinese Cemetery surrounded by green space. However, on our run, the Chinese Cemetery was abandoned, full of squatters and had become a slum. Needless to say, that we quickly run through the area! All of this was to get to the pier which was very industrial with trucks and containers floating around. Not the most pleasant run as you might imagine! When it comes to finding the best places to go running or walking, your best bet is to ask the locals. They will know where the runners go or which parks are safe to run through. One of the favorite sports in the Philippines is Basketball. You will find empty plots of lands converted into basketball fields, where kids and adults alike come to play. 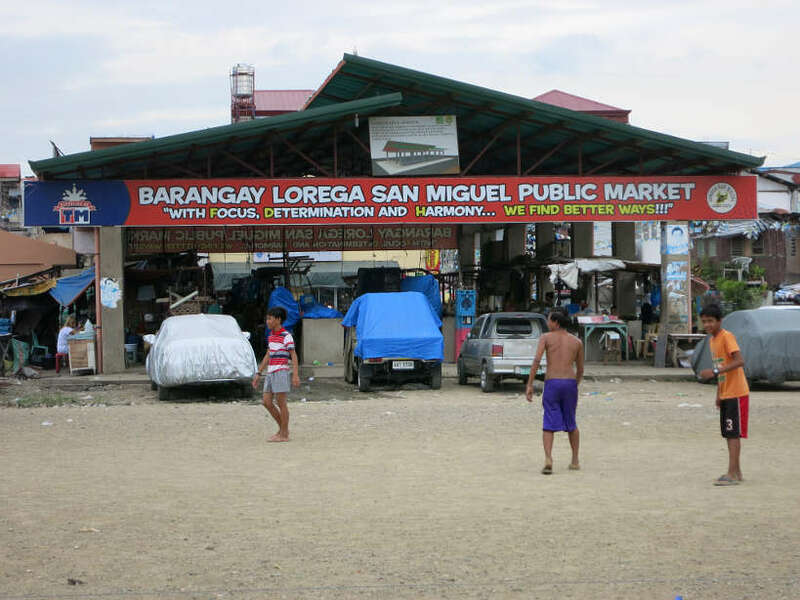 If you want to have a real local experience, join a playground and play with the Filipinos. They will be happy to have you on their teams! Cebu is not only known for its diving spots on Mactan Island very conveniently located at less than 15 mins from the international airport. Cebu City is also known for its marathon and triathlon events. After learning that, we thought we would find several places to workout outdoors. What was very promising at first, turned out to be quite disappointing. 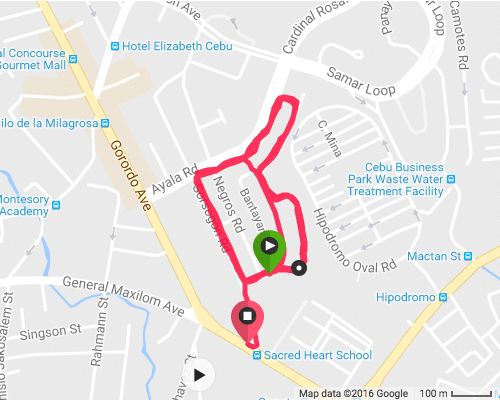 What we discovered instead was a lack of parks and spaces to go run or bike in Cebu. For running outdoors, the one spot we found was a jogging area near Ayala Center called the Hippodromo. You will find several joggers and people exercising outdoors. There is a loop that runs along Ayala road, to Sorsogon road and Camiguin road which is about 1km. While it is quite short, it is better than nothing. The stadium called CCSC located R.R Landon Street, Osmeña Blvd, Cebu City. Here you can train on the track and field. However, do note that there is an entrance fee of 20 Filipino Pesos (about $0.40USD). Cebu IT Park located in Lahug at Jose Maria del Mar St, Cebu City is another option. We went there one weeknight and didn’t find it conducive for running. There were a lot of people on sidewalks and lots of traffic. Perhaps we were not on the right day or time, so you might need to check it out again. As noted, running outdoors in Cebu City can be challenging. Be prepared to run in concrete spaces. And plan to run several loops, to get a significant workout. In Manila, we stayed in the Makati neighborhood, which is the business hub of the capital. With barely any parks, it was difficult finding a good place to run. The main area we found for running is called the Ayala Triangle Gardens. 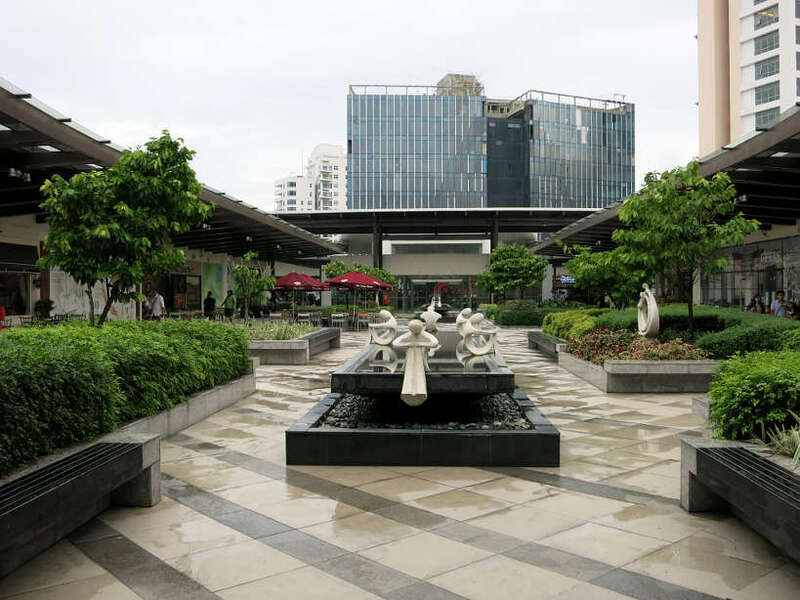 It is located at the junction of Ayala ave, Makati ave, and Paseo de Roxas. Runners typically jog in a loop that is about 1.2km around the business district. The term “gardens” is deceptive and gives the impression that you will be running in green space. In reality, the running loop is surrounded by local traffic, with cars and jeepneys emitting fumes so strong that you are left questioning the health aspects of the activity. On the way to Ayala Triangle Gardens from our Airbnb, we found the Velasquez Park located on Tordesillas, in Makati. This small green area in the city is really a playground for kids. We would stop here to strength train and do some stretching exercises. Small and clean, it is a needed reprieve from the hectic pace of the city. There are other areas in the city popular for running. 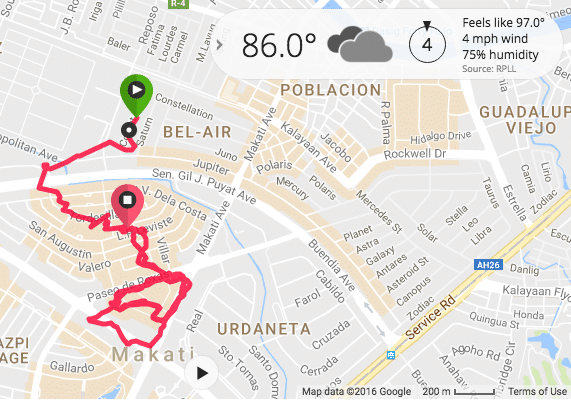 While we did not have the chance to check them out, this running pinoy website provides a good resource of places to run in Manila. 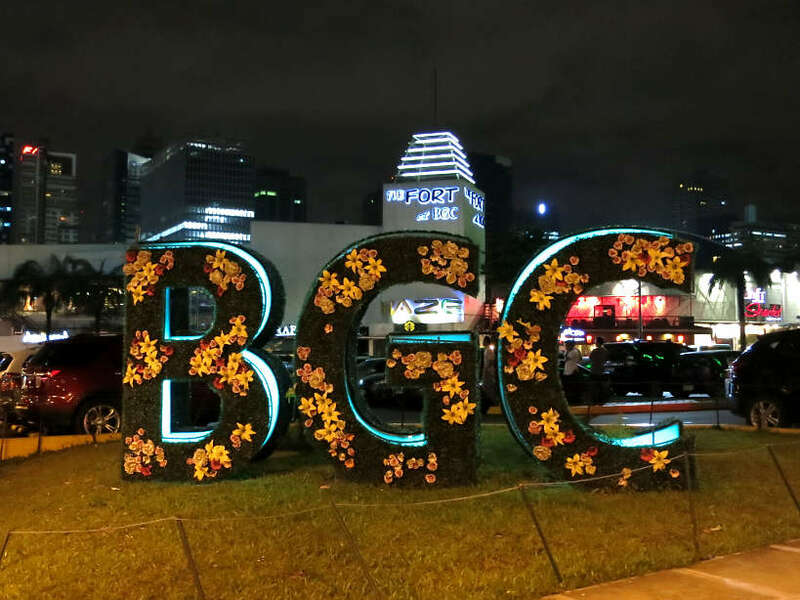 One place mentioned on the website that we did visit is Bonifacio Global City. The wide sidewalks make it conducive for running, but you will be running on concrete and surrounded by shopping malls. Overall, the areas mentioned above will be your best bet for running in Manila. The may not be the green spaces that are best suited for running, though they do offer alternatives to explore. When it comes to exercising, we really prefer to be outdoors and in nature. Having had such difficulty in finding parks in the Philippines, the next best alternative is to join a gym. The Airbnb’s where we stayed in Cebu and Manila did not have gyms in the building. In a city like Manila, you can find Airbnb’s with amenities such as fitness centers or gyms. If you don’t want to join a gym, we recommend finding accommodations that come with fitness studios. 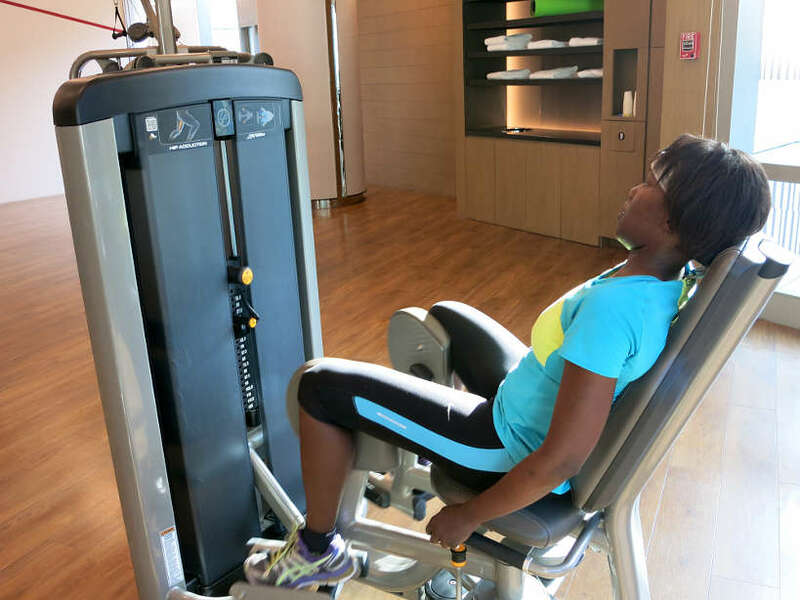 During our visit to the Philippines, we stayed at couple hotels that had fitness facilities. The first hotel is Eloisa Royal Suites is near Mactan Airport in Cebu City. The fitness room is small and equipped with modern treadmills, weights, recumbent bicycles and more. We enjoyed a good workout and had the facility to ourselves. Belmont Hotel was the second hotel near Manila Ninoy Aquino International Airport. The fully equipped gym is clean, though be aware that they do not offer any water in the facility. Come prepared with your own water bottle, or plan to pay for water. This gym tends to get busy, so plan accordingly. For your stay in the Philippines, look for accommodation with access to a gym. If that’s not an option, you might want to join the local fitness gym. While in Manila, we had the chance to experience one of the best sports centers ever. The Kerry Sport Center at Shangri-La Fort Manila. We will dive deeper in our next article where we review the facility and the courses offered.We definitely recommend joining this gym to stay fit on your travels to the Philippines. Staying fit on your travels to the Philippines is definitively a challenge. With the heavy cuisine, hot and humid temperatures, and the lack of green spaces, the environment is not conducive for exercising. If you like to exercise outdoors, get tips from the locals and don’t rely too heavily on Google Maps. If you find yourself in Cebu City or Manila, use the recommendations outlined. Ultimately, we recommend joining a gym or sports center to stay fit on your travels to the Philippines. 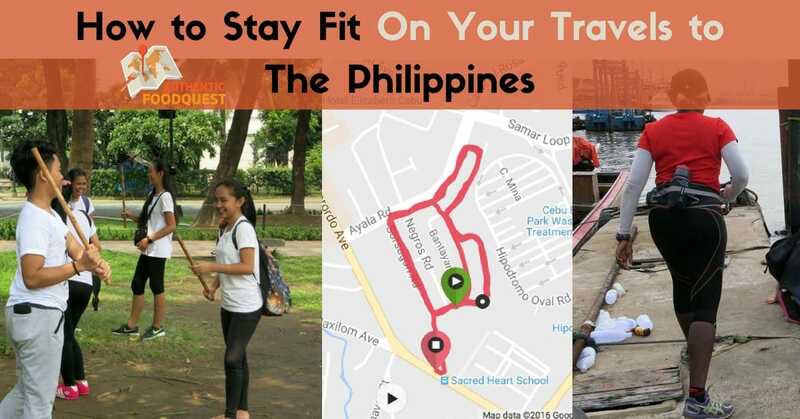 In the end, it is possible to stay fit while traveling in the Philippines. With the tips and recommendations highlighted you can maintain your exercise routine while exploring this beautiful part of the world. In our next article, we will showcase Kerry Sports Fitness center in Manila, the best fitness center for your stay in the Philippines. Read on! Have you traveled to the Philippines? What did you do to stay fit? Please share your tips and recommendations below! This article contains affiliate links. When you use our affiliate links, we earn a small commission at no additional cost to you. 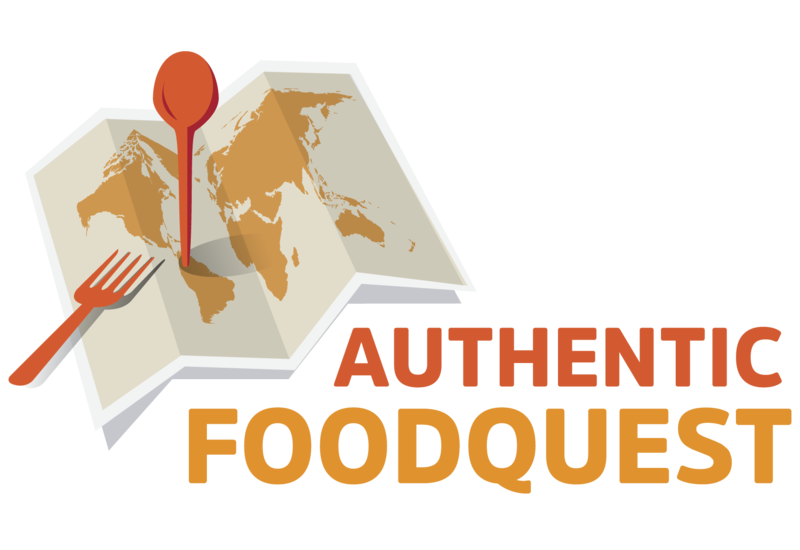 It just helps us keep running things at Authentic Food Quest! You are so right, there really isn’t a lot of green space. Places that you think are going to be areas of green, often tend to not turn out that way. I think best place is your hotel gym, if it has one. Air con and no fumes from passing cars (of the crazy traffic!). Thanks Sara, indeed not a lot of green space in the Philippines and the hotel gym is the best bet. Cheers! It is unfortunately true that there is not a lot of green space in the Philippines to exercise. And when you find outdoor space, it often is not what one expects. Agree Sara, the best way we found to keep fit was by using the gym. Cheers!! Nice set of tips. I am not a great lover of diving! 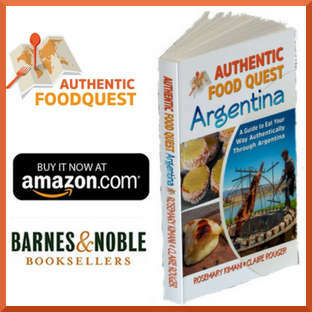 I love walking through the historical areas and local markets. That keeps excess calories in check. Philippines food is awesome ! Thanks Nisha, indeed walking does help keep the excess calories off. Though one does need to be mindful of the heat:) Thanks for your comments! You are right Nisha, walking does help burn the calories off. Though the heat can be challenging at times. We found a gym to be the best solution to keep the calories in check while enjoying all the delicious Filipino delights. Thanks for your comments! Indeed the heat and humidity of the Philippines does make working out outdoors a challenge. Finding a calorie burning solution to all the delicious food, makes finding a gym important!! Thanks Claudia! Yes, it is tempting to indulge in all the delicious Filipino food all the time. Though exercise is important too for keeping fit. Agree, in the Philippines, a gym is the way to go. Thanks Claudia for your comments. Shortage of spaces is becoming a worrying factor in several cities. Wish the city planners gives this issue a thought otherwise travel bloggers have to come to rescue! 🙂 A very well thought subject, probed and solved! This will be helpful for those who plan to travel there. Hopefully I can too some day! Thanks, Indrani and we share the same concern about the lack of green spaces. Agree, wish urban planners will start making this a priority with the growth of cities. We appreciate your feedback and comments. It is unfortunate Indrani, how green space is becoming an issue in cities. Agree, hope city planners improve the situation for travelers and residents alike. Thanks for your comments. 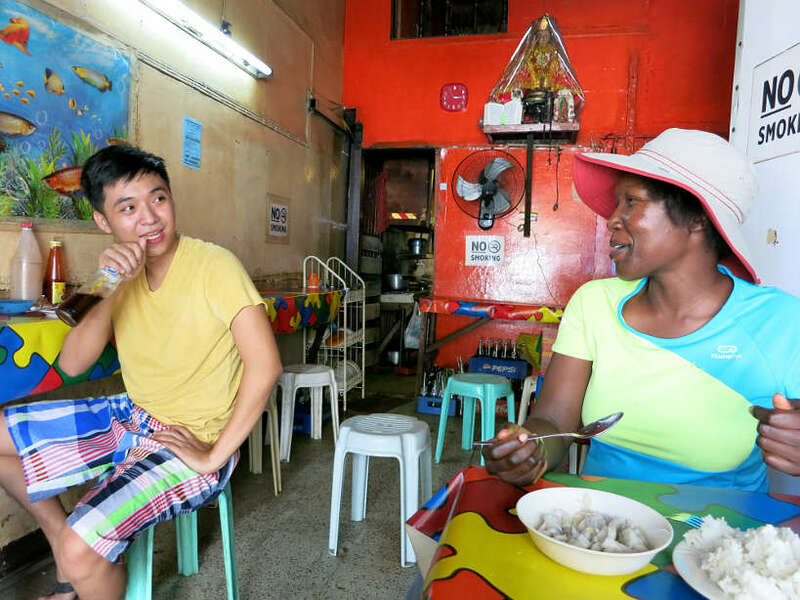 We read your article about eating in the Philippines which certainly sounded heavy. Glad you found a way to work all of the calories off. We recently had an experience where Google Maps took us through skid row in Los Angeles so I just imagine the cemetery incident happening. Are there running apps that users submit their routes they actually use? That seems like a great way to get in country beta. Some great tips! I particularly echo taking water with you on days out – I found it could get horribly humid. Love the idea to travel with a hydration belt; hadn’t considered that before, thanks! Keeping hydrated in the heat and humidity is incredibly important. 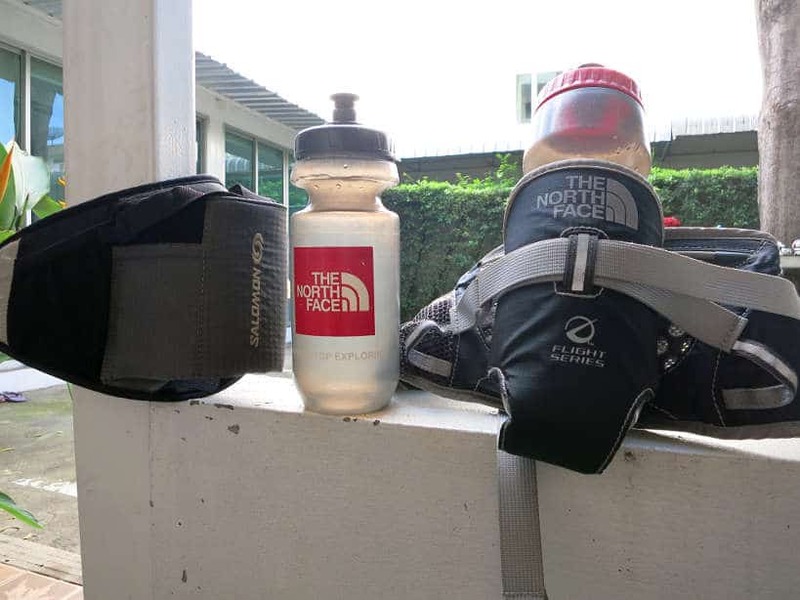 Our hydration belts have come in handy so much and so often, especially in Southeast Asia. Thanks Meg for your comments!! This is a really great posts. When traveling we do not usually think about staying fit. But on a long term trip like you are doing it is a must. And not obviously as you have show. Just that weather would kill me from any attempt lol. Thanks for a wealth of information. 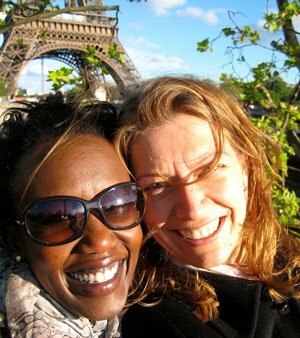 Thanks, Evelyne and so glad you enjoyed reading the article. Keeping fit, especially on culinary travels is a must for both short and long trips:) Cheers! Agreed, with the heat, the gym makes a much better alternative. Cheers! These are really great tips. I’m so bad at sticking to a fitness routine when I travel (not to mention eating everything in sight!) I’ve really got to do better. Hi Mags, so glad you enjoy the tips. It is really difficult to stay committed especially when traveling! Hope this helps!! Cheers. Yeah, it is definitely hard to stay fit in the Philippines especially if you live in the city, as there are few parks that is conducive for exercising and air pollution is high due to emission from public utility vehicles. Great advice Eloise, especially coming from a local. We were really surprised how difficult it was to exercise outdoors. Agree, in the Philippines, the best bet is go to the gym. Appreciate your comments. Thanks for stopping by. Where was this post before I went lol. My pants are definitely fitting tighter after all of the lechon I had during my time there. Filipino food is great but you’re right- mostly pork based. Totally worth it though! Great article, very informative. Great tips! Always good to think about keeping a fitness routine, especially when an area has a lot of food that isn’t very low fat! We aren’t really runners, but we try to walk as much as possible, especially when we are traveling. I like the idea about asking locals about good paths to take–would be helpful to know which areas are good for walking or running! Glad you like the tip about asking the locals for a walking or running path. Google Maps is not always reliable and the locals always know 🙂 Indeed keeping a fitness routine is something to always plan for when traveling. Thanks for stopping by Jenna. Cheers! 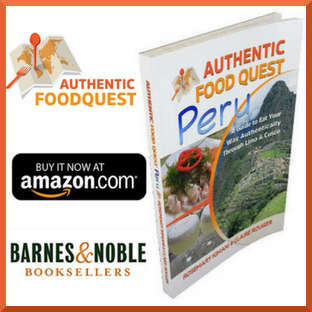 This is an aspect of travel I hadn’t really thought too much about, but so good for your wellbeing, especially if you are planning to enjoy a lot of local food! Great tips, obviously you learnt a bit through trial and error during your experience there. You are right Elissa, many people do not think about the “keeping fit” aspects of their travels. 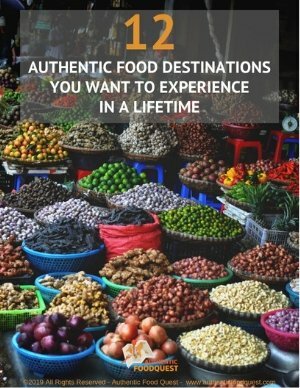 For those planning on enjoying the local delights, this is something worth giving some consideration to. Glad you liked the tips. Thanks for your comments. Quite interesting. I think it’s a great idea to watch your fitness while travelling. Since my travels so far has been in the mountains and there is a lot of hiking involved I’ve never really had the need to look out. But if I ever need visit a place like Philippines I think I’ll take your tips. Although it seems like I have to go dive or else experience the traffic and the heat. On a side note, hiking is good exercise and I would immediately recommend finding the nearest trails to hit when travelling. We do love to hike as well Johann, but it really depends on where we are. Glad you have found a solution to keeping fit while on your travels. If you find yourself in the metro areas of the Philippines, we would recommend a gym highly! Thanks for your comments. Cheers.